Santa Fe, New Mexico is in an area called a "high desert." This means that although precipitation is always low, temperatures can differ a lot between day and night, so pack layers. It's also important to take into consideration the time of year you're going. March was a perfect time to go, as it was quite warm during the day but not sweltering and the nights were only a tiny bit chilly. Santa Fe is located a bit higher than Albuquerque and the surrounding area at about 6000 feet above sea level. For those of us that normally live in lower areas, you might experience shortness of breath and tiredness. (It feels like you can't take a deep enough breath.) This is due to the oxygen being thinner at higher altitudes and your body not being used to it. Just drink lots of water and take moments to rest when you need to and you'll be okay! Santa Fe is in a desert.... so there is a lot of sun. Be sure to pack sunscreen, sunglasses, and any other items you need to protect your skin. One of the best parts of Santa Fe is the HUGE number of artisans in the city. I'll talk about that more in an upcoming post, but I would definitely recommend saving up some spending money if you go to this area. There's lots of beautiful, one of a kind stuff you'll want to take home! The city of Santa Fe is actually not very big, and if you stay near the downtown area you can totally walk most places if you'd like. Bring some sturdy shoes that you don't mind getting dusty! The southwest is known for its unique blend of Mexican, American, and Indian/Native food tastes, and Santa Fe does not disappoint! Bring money and an appetite to explore all the tasty dishes at local restaurants. 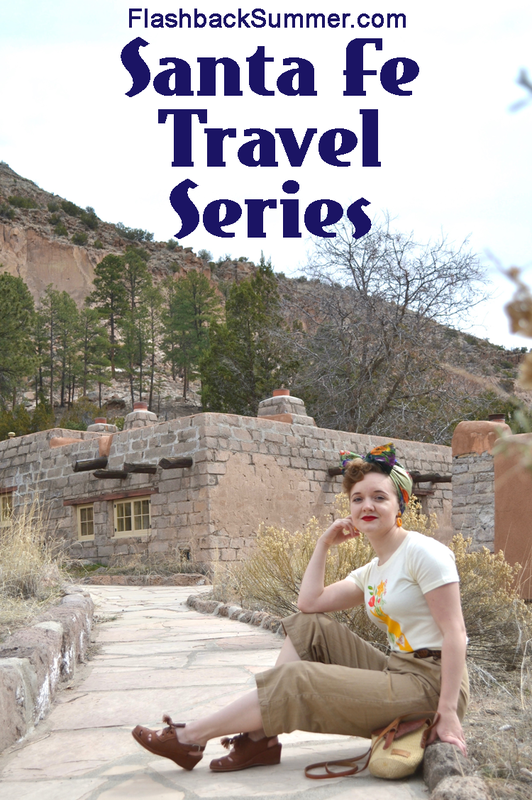 Have you been to Santa Fe or the Southwest U.S. before? What are some of your tips for traveling this area? I grew up in the Southwest (Albuquerque and far west Texas) and then moved to the Midwest for college, so it made me smile to read your tips! They're excellent, especially the one about food. I cannot say how much I miss that good New Mexican flavor. I can't wait to read the rest of your articles! I love that part of country! I haven't seen much of New Mexico, but I've spent quite a bit of time in Arizona and Nevada. I find the desert really beautiful, although the hot days and cold nights do take some getting used to. Love your outfit in the photo - it's the perfect travel look! Thank you Jessica! It really does take getting used to, the major temperature changes.